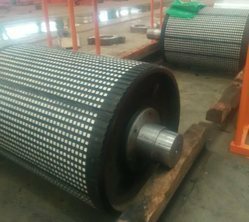 We are involved in the manufacturing of high quality Industrial Pulleys, which are widely used for lifting heavy weight goods with reduced efforts. Fabricated with high quality raw materials, these are engineered in accordance with the latest technologies to generate better torque motions. 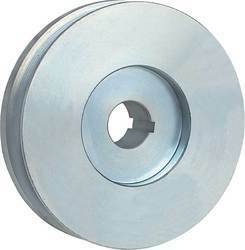 Offered in various types, our pulleys are highly demanded for various industrial applications. Our clients are supplied with a range of Pulley Blocks that are technically advanced. These blocks are widely used for lifting of loads. Our blocks are sourced from reliable vendors in the market and are offered in different specifications to fulfill the diverse requirements of all our clients. Our range of Pulley Castings provides efficient performance and also cost effective. These are widely used for industrial purposes. We are the eminent manufacturer of a wide variety of C.I. Pulleys, which are used in various industries such as spare and machine manufacturing industries and automobiles, for various applications. Fabricated with premium quality steel and aluminum, these C.I. Pulleys are provided with high durability and are thereby, reliable to use. 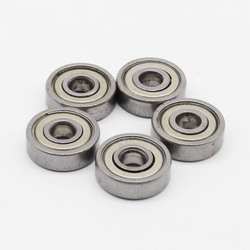 We are engaged in trading a quality-approved gamut of Pulley Bearing. Highly appreciated for its compact designs, our range of these products is manufactured using optimum quality raw material by the manufacturers. Notable for outstanding performance and smooth functioning, these products are extensively used in various industries. Backed by rich industry experience, we are highly engaged in offering the best quality range of Pulley Lagging Rubber Sheet. Owing to its tear proof and impeccable finish, our offered sheet is highly demanded among our precious clients. We are engaged in offering a wide array of C.I. 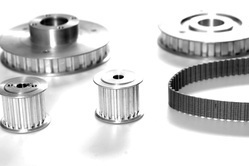 Belt Pulleys (Size To Order). 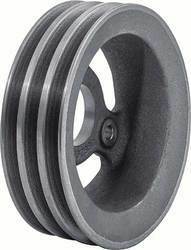 These Pulley Wheels are manufactured by the skilled & expert team of professionals who are well versed with the latest market trends and exact needs of clients. 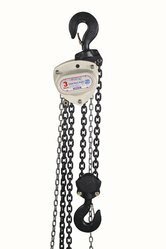 Looking for Industrial Pulleys ?